Oooh yes, it’s my favorite time of year <3 Autumn and Winter. The great thing about this time of year is that you can really become creative in many areas – not just your baking, but decorating houses, making costumes, maybe adventuring out to put on a terrifying Halloween style tea party?! After that you get cosy nights around bonfires with fireworks and before you know it it’s the run down to Christmas, what’s not to love?! This year I have been creative with the traditional pumpkin. Since I’ve only ever carved a pumpkin to take out as a lantern trick or treating, this year I was determined to eat some for the first time, and how pleasantly surprised I was by the results. 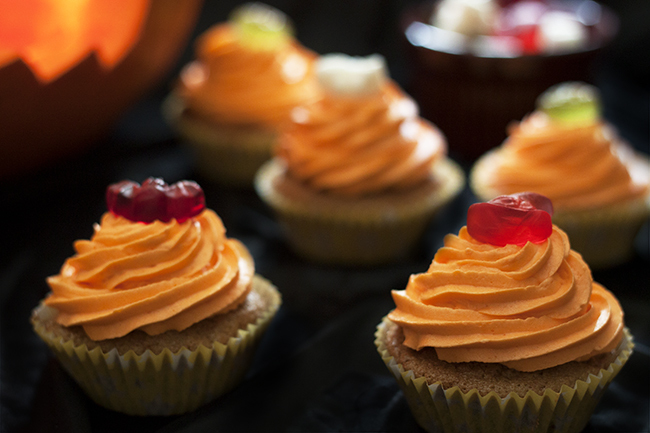 This Pumpkin and Orange Cupcake Recipe makes lovely and moist cakes with flavours that seem to compliment each other. I understand the thought may put people off but after trying these you will look at pumpkin in a different way. 1. Line your cupcake baking tray with cake cases and preheat your oven at 180oc / gas mark 4. 2. Whisk together your sugar and oil. 3. Add your eggs one at a time and mix slowly. 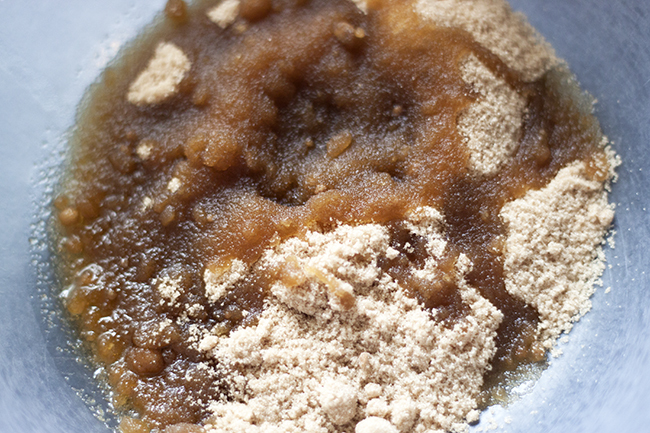 Next sift your flour in to the mixture and add the baking powder, bicarb of soda and mixed spice. Give it a good mix in. 4. Now we need the main ingredient, pumpkin. 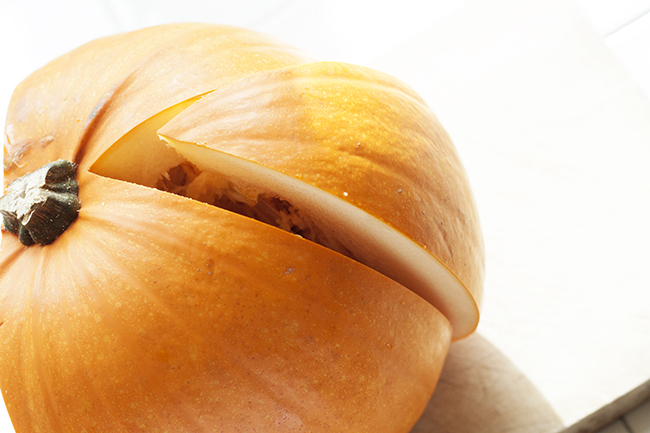 The easiest way I found to do this was by cutting in to the pumpkin like you would a melon, and cut out melon -like slices. Peel the orange skin off the slice and get rid of the middle ‘mush’ and seeds. You should be left with some nice yellow flesh, grate this using the same side grater as you would carrot. Add your pumpkin to the mixture and stir. 5. Finally, grate your orange zest and add to the mix. 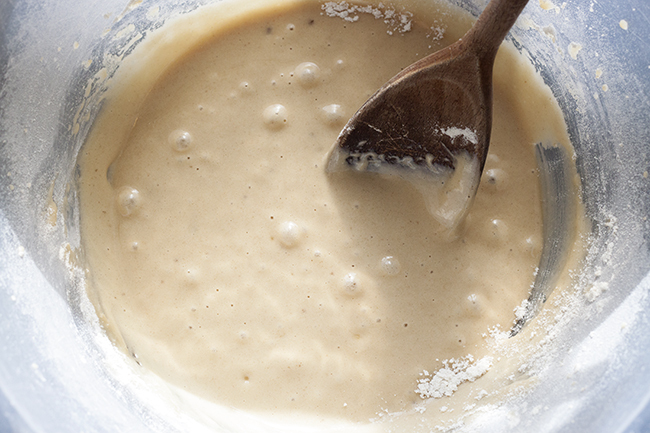 Stir and your ready to bake. 6. Spoon equal sized portions of mixture in to the cake cases and bake for around 10 -15 mins. To double check that they are ready, prick the centers of the cakes with a fork, if the folk comes out with mixture stuck on then there not ready. If the fork is clean then there ready.